The Muriwai Golf Club is less than 40 minutes from the Auckland CBD, travelling the North Western State Highway 16, at Waimauku turn left on Muriwai Road towards the Muriwai surf beach. First established in 1956 opened for play 1960 and redeveloped 1999/2003. A true links course situated on the ruggedly beautiful west coast. The club offers casual golf along with full membership options, to play Muriwai is to play golf as the game was intended. The Muriwai Golf Links is constructed on the rolling black iron sand dunes of the Muriwai Beach, fully irrigated for superb playing conditions in the summer months and dry underfoot conditions in the winter. The subtleties of the undulating fairways and greens challenge golfers of all ability. To play Muriwai is to play the game as nature intended. Coaching available from NZGA Professional Gary Parkinson, this can be arranged by contacting our Golf Shop. Muriwai offers full practice facilities including driving range, short game range, practice bunkers, chipping green and putting green.  The Golf Shop has a full range of golf accessories, clothing, confectionery & soft drinks. The club has 21 electric golf carts for hire along with pull trundlers & hire clubs. Full facilities available including showers/toilets, spacious club lounge, which caters for private functions & corporate days as well as members' requirements. Full stocked bar offering a great range of alcoholic & non alcoholic beverages. The Muriwai Links Cafe provides an excellent range of catering including all-day breakfast, lunch, after-game food & fantastic coffee, along with this they offer full catering service for private functions & group bookings.